Hi everyone! 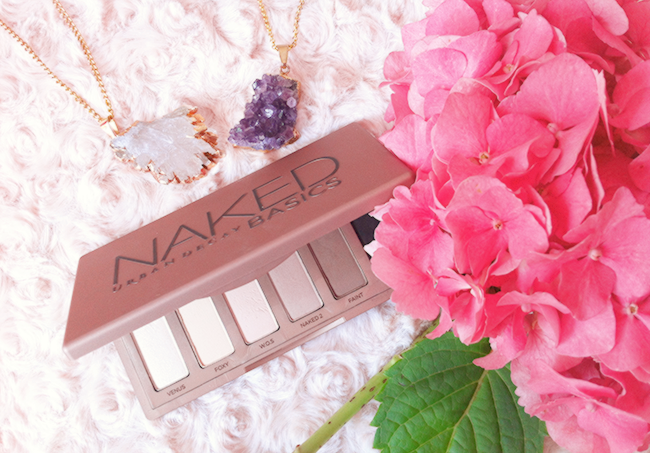 Time for the July favorites! Just a couple of them this month, but I guess it's because of the summer, I'm using less makeup products than usually. What were your July favorites? 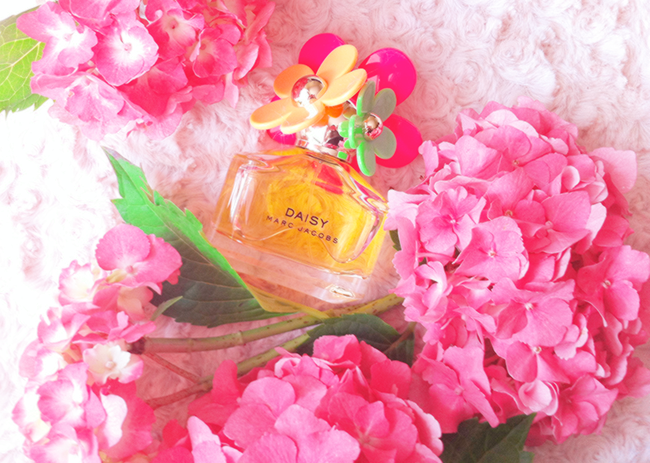 I love all the daisies! But the sunshine edition is my current favorite, perfect for the summer! 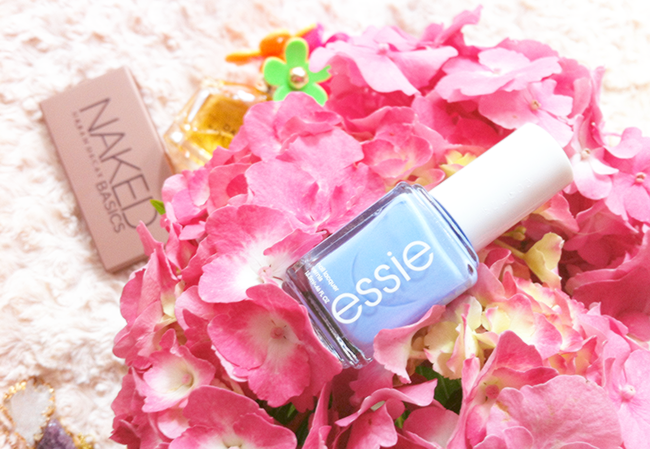 I'm a big fan of light blue or lavender nail polish color, this one is the most perfect blue of all! So much love for the matte eyeshadows! This palette is perfection for matte eyelids lovers like myself. I bet you already knew I'm a big fan of baby lips! Once I saw that there's a new limited collection, I had to try it! Strike a Rose is a really pretty coral pink, and so opaque! The Essie nail polish is very cute! Havent yet smelt that marc jacobs perfume, but it looks really good haha! and also, i'm starting a giveaway tomorrow of a mac lipstick of your choice so check it out! Essie Bikini So Teeny is so cute. My favourite Essie polish this summer has been Turquoise and Caicos and I've been loving it on my toes. I love Essie polishes! 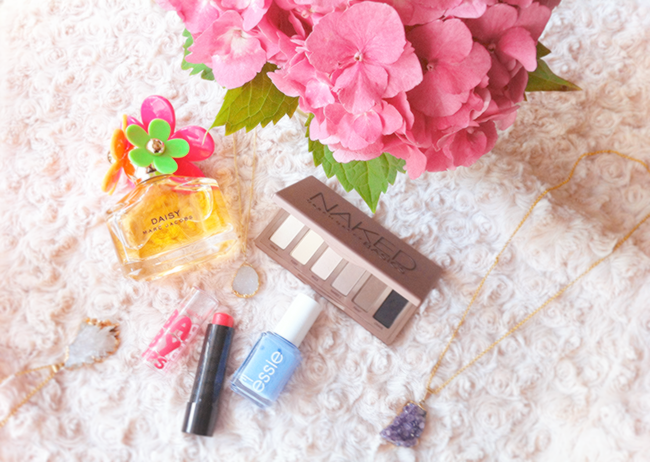 I love the Naked Basics palette and that Essie nail polish!! Love the Essie nail brand! They have the best colors. There's a tiffany blue and a blush tone I've been wanting to try. Does it cheap easily? I really want to try this Marc Jacobs perfume ! The packaging is so pretty and summery !